One of like's lessons is that you can't control many of the things that happen to you - so you need to adapt to new circumstances - or fail. It took half-a-season, but Jaylen Brown seems to be finally adapting to coming off the bench. 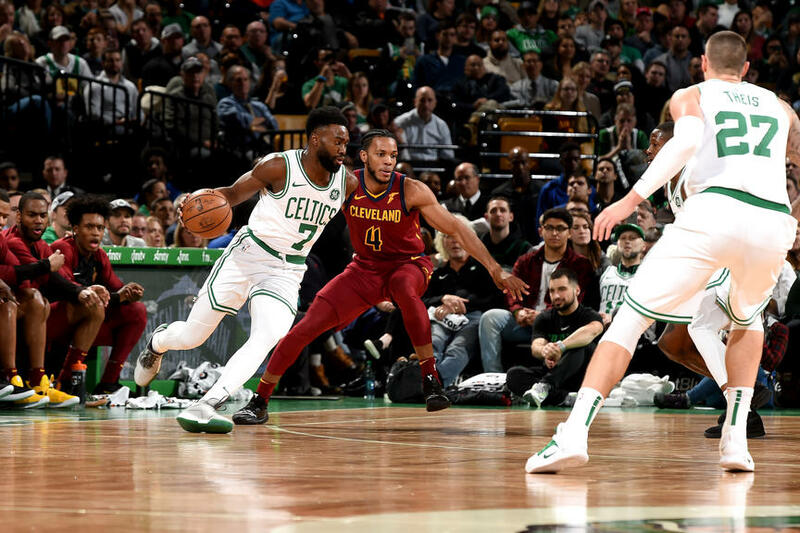 In last night's 123-103 win over Cleveland, Jaylen notched 23 points and six rebounds. But more important, he shot 8-of-12 (67%) from the field, 2-of-3 on threes (67%) and 5-of-6 (83%) from the free throw line. In November, Brown's percentages on field goals, 3-pointers and free throws were 43/21/62. For January they are 48/43/70. Take a look at the excellent video below. Jaylen is out there displaying his talent, producing for his short-handed squad, and having fun doing it. We see him going one-on-one down low and scoring. Then he does a no-hesitation catch-and-go for two points. He doesn't think about taking an open 3-pointer - he just launches it. In the past, I have often seen hesitation in Jaylen's game. Not last night. He looked comfortable and confident. When Brown thinks too much out there, it negates his athletic ability. That was the real Jaylen Brown out there last night, and we should be seeing much more of that in the second-half of the season and the playoffs.